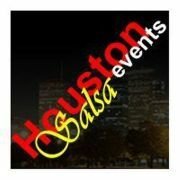 * Houston SALSA Events * Connection to the HOTTEST Events! =============================== <br> MESSAGE TO ORGANIZERS & PROMOTERS <br> =============================== <br> ORGANIZERS: Please only post EVENTS. Classes and workshops can not be posted to our calendar but we will work with you to advertise your business. Only the Admin of this account can mark an event as "FEATURED". PROMOTERS: If you would like us to promote your event, please feel free to contact us along with any special discounts and/or offers available to our group. =============================== <br> HISTORY OF HOUSTON SALSA EVENTS <br> =============================== <br> I (Tammy Roque) created HSE in 2008 to help a group of new Salsa dancers stay connected. As the group began to grow, a need for a better way to communicate was needed so a calendar was created, and a monthly email was generated with all the latest events. Our community has grown significantly since then so I decided to join the non-profit organization, Houston Salsa Dancers, Inc., to better serve our group. Today, studios and event promoters are working together as a united group to bring you only the BEST of events and HSE is happy to play a role in this goal. =============================== <br> THE RULES <br> =============================== <br> If you love to dance and would like to meet a FANTASTIC group of friendly people, please feel free to contact us! Our group rule is simple...be respectful, be courteous and DANCE DANCE DANCE!!! Houston Fun, Dance and more!